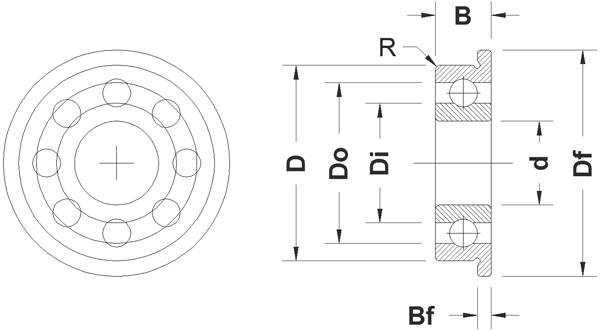 Flanged Ball Bearings are to reduce rotational friction and support radial loads. Ideal for precision work with close tolerances suitable for building models and applications. The flanged ball bearings have a flanged outer ring to facilitate location in housing axially and eliminate the need for housing shoulders. Made of heat-treated Chrome steel.